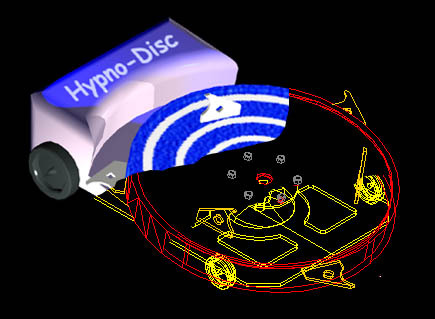 Robot Wars series 3 entry Hypno-Disc. These were the drawings submitted for entry into RW series 3. 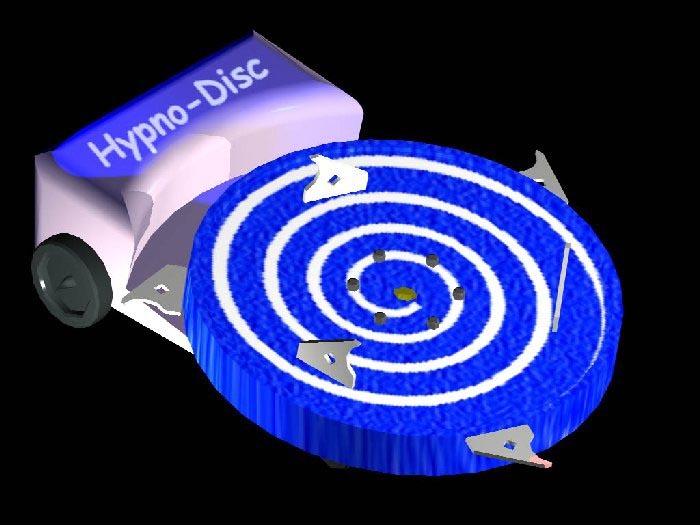 Fully rendered image of Hypno-Disc. Twin 750W 24V dc differential drive for main wheels. Rotor drive has a 750W 24V dc drive. Interchangable hooks / spikes & gougers ! We set out to design and build a robot with an effective weapon. There is nothing more boring to watch than 2 boxi - bots trying to scratch each others paint work with 2" spikes. With this in mind we considered the usual saws, axes and pneumatic stabbers. All of which has been seen many times over. We wanted a unique weapon. 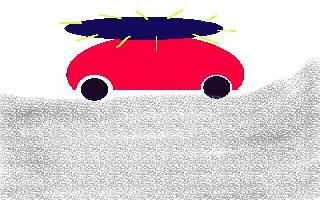 High kinetic energy is mandatory for a weapon that is going to do 'real damage'. 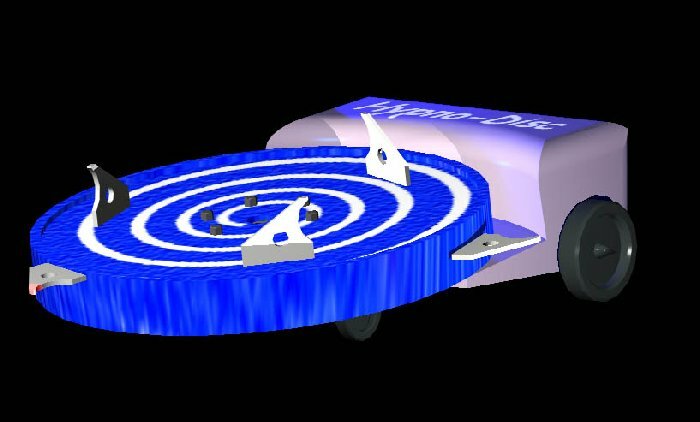 Flywheels came to mind. Just get a heavy enough flywheel turning fast , bolt on a blade or two and stand back. The weapon was the first part to be layed out on the design, the rest followed.